As men get older, the topics of the conversations they have with each other tend to become more focused on maintaining their health. They find themselves discussing things like the possible benefits and side effects of low testosterone treatment because they have entered the stage of life when Low T symptoms can occur to any of them, at any time. But all too often, they don’t have all of the facts and what they end up sharing is misinformation. So how can they get the facts? One of the most reliable sources for getting the facts about using TRT (testosterone replacement therapy) is from the doctors who specialize in prescribing it for clinically qualified adult patients. These are the doctors who will have the most experience and knowledge in the use of this treatment for reversing the symptoms brought on by adult-onset testosterone deficiency, which an increasing number of US men have been developing. 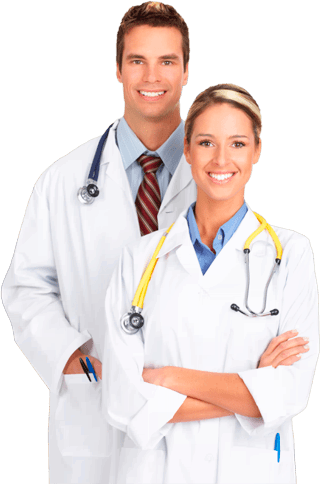 They are the medical professionals who are most familiar with the long and clinically documented history of successful medical use that TRT has, and they are also going to be the most informed doctors in regard to the latest developments in treatment options for Low T patients. But how can men who have only heard the personal opinions of their friends, or who have been reading subjective opinions posted on online blogs, get factual information from TRT doctors on topics such as the possible side effects of low testosterone treatment? One of the best ways is for them to simply call or email the TRT specialists at Nexel Medical. Our team of clinical advisors is always available to explain, in as much detail as anyone wants, things like how low-risk the use of Low T therapy actually is. They can explain how when this treatment is properly prescribed and used, the potential for a patient to experience anything other that mild and temporary side effects is very low. And there is a lot more information about the use of TRT that our medical professionals can share with men who have reached the stage of life when Low T and its symptoms are most likely to develop. Nexel Medical is one of the country’s leading medical providers of testosterone replacement therapy programs and our doctors have created a number of notable innovations in providing treatment to patients nationwide. We have made it faster and more convenient for men to receive local testing for Low T in addition to making it much easier for them to get factual answers to their questions about the pros and cons of using a medically prescribed TRT program. Do All Men Get the Same Results from Low Testosterone Therapy? It is likely that men talk about the potential results that they could get from using TRT more then they talk about the possible side effects of low testosterone treatment. After all, getting positive results is the sole justification for using this treatment to eliminate Low T’s many unwanted symptoms. But one of the medical facts that all men need to understand about using a doctor prescribed TRT program is that every man is going to respond to it individually. Compared to the possible side effects of low testosterone treatment, which include temporary swelling due to fluid retention; headaches; joint pain; and temporary and minor discomfort at the injection or topical application sites used for treatment, the benefits that men using TRT receive are significant factors is maintaining a man’s adult health and vitality. Yet to assume that all men will receive exactly the same degree of results would be misguided. A patient’s current condition of health, medical history, age, and weight can all have an effect on their personal response to treatment. How Long Is It Safe to Men to Use Low Testosterone Treatment? A man who is diagnosed with Low T while in his sixties is looking at using TRT for a decade or two while a man who is diagnosed during his thirties or forties could be looking at using treatment for a considerably longer period of time. So what all men should want to know is whether it is safe for them to use treatment for Low T symptoms long-term; and fortunately our doctors are able to weigh in on this aspect of TRT with clinical evidence. If there is confusion among men about the possible side effects of low testosterone treatment, there is at least an equal amount of confusion about whether it is safe to continue using it indefinitely. Most men understand that once your body is no longer capable of producing an adequate male hormone supply on its own, there is essentially no way to make your endocrine system produce more of this critical hormone. 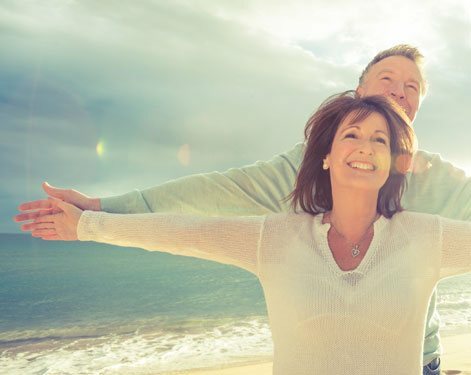 This is why what the use of TRT does is to supplement your body’s low male hormone levels by replacing what is missing with its bio-identical equivalent. Treatment is typically prescribed in 6-month cycles, which is how long it takes to restore your Low T to the most beneficial levels. Your completed cycle is followed by a period off-treatment, during which your testosterone levels will be periodically measured by a blood test. Once your levels begin to decline to below normal, anther treatment cycle will begin – and so it continues for as long as you want to receive the health benefits that TRT provides. There has been no conclusive clinical evidence produced to indicate that the continued use of supplemental testosterone is unsafe for men, and this is after having been in medical use for well over 50 years. And it is as important to have all of the facts about this often discussed issue as it is to know what the truth is regarding the potential side effects of low testosterone treatment really are. Being able to talk to your friends about an increasingly common adult medical issue like Low T is healthy; but it can be even better for your health to get the straight facts about using a medically managed TRT program.